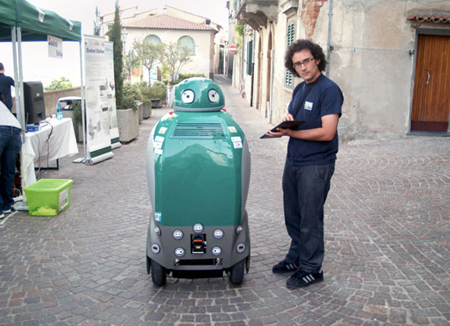 Another green robot that will do the collecting, segregating, and recycling your waste is now in prototype and is currently navigating the streets of Peccioli, Italy. 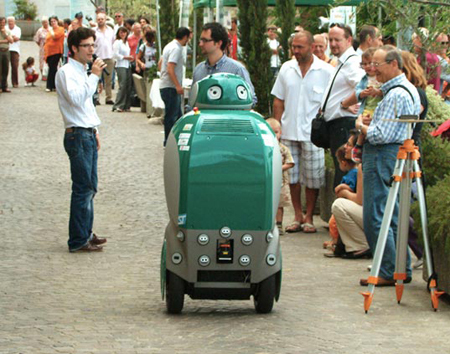 The electric DustCart robot is part of a $3.9 million worth of research program by DustBot. How does it work? 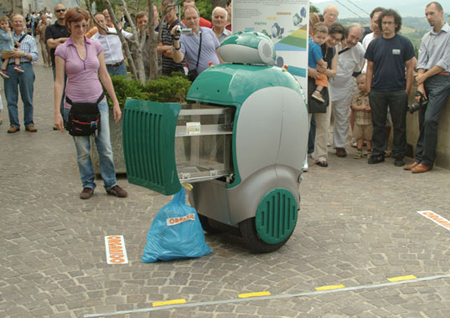 The DusCart collects your waste. It has on-board sensors that give the DustCart the ability to measure atmospheric pollutants that include sulfur oxide, benzene, ozone, and nitrogen oxide. Using a resident’s personal ID number, they can call the DustCart using their cellular phones and it will easily go right at their doorstep and immediately sort their trashes into organics, or recyclable, or waste.